MANILA, Philippines – The tandem of Princess Robles and Audrey Paran proved unstoppable for National University on Sunday, when they conspired to lead the Lady Bulldogs to a momentous win over University of the Philippines. At 3-9, the Lady Bulldogs entered the match with nothing to lose as they were already out of the Final 4 race in UAAP Season 81. Yet they wound up standing tall at the end of the game, dealing the Lady Maroons a stinging five-set defeat. Robles and Paran were tremendous in the closing stretch for NU. Robles, the rookie, unloaded back-to-back kills to break an 11-all deadlock before the veteran Paran put the finishing touches on the win with a smart hit that the UP defense could not handle. "Happy kami kasi nagawa namin 'yung purpose namin, bakit kami naglaro ngayon," said Paran, as they improved to 4-9 with a game left in their elimination round schedule. "Pinag-usapan namin na 'yung lahat ng games namin, thank you gift sa lahat ng sumusuporta sa amin, doon sa mga naniniwala sa amin," she added. "Happy kami kasi napasaya namin sila." Paran finished with 15 points in the game while Robles unloaded a career-best 20 markers, including 18 kills. 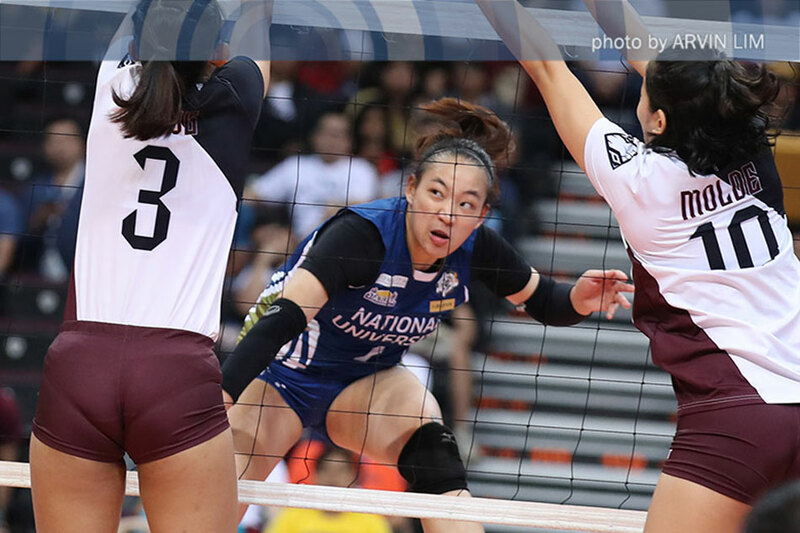 The high-leaping rookie, who starred for National U's girls volleyball team in high school, had no qualms about taking over in crunch time for her squad. Momentum in the fifth set had shifted to UP's side after they rallied to force an 11-all tie. But Robles was there to shatter the deadlock as she overpowered the Lady Maroons' net defense in back-to-back rallies to give NU back the advantage. "Sa akin, wala pong kaba," said Robles of her crunch time heroics. 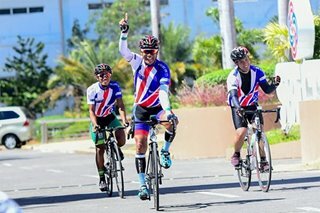 "Iyon 'yung na-feel ko kasi andiyan 'yung teammates ko. May tutulong sa akin. Kahit anong gawin ko sa court, kung na-block ako, may susuporta sa likod." Paran then finished the job, scoring the match-winner that officially ended UP's chances of making it to the UAAP Final 4 this year. Afterward, she stressed that it was her responsibility to step up as one of the few veterans in a rookie-laden squad. "Everything na gagawin ko, para sa teammates ko," said Paran. "Kasi pinaghirapan namin ito." "Hindi lang naman ako 'yung nahihirapan, so kailangang mag-step up ako as a senior, as ate nila. Kailangan, dapat andoon ako kung kailangan nila ako," she added. The Lady Bulldogs conclude their season on April 27, when they face University of Santo Tomas. While the game is once again a no-bearing match for NU, it carries great stakes for the Golden Tigresses who are hoping to stay in contention for a twice-to-beat edge in the Final 4.